Restaurants all over Denver are experiencing a growing problem finding reputable ventilation hood cleaning services. With Denver growing in size every year, the restaurants around town have no trouble finding hungry citizens to fill their dining rooms, but more patrons may spell trouble for the kitchen areas of those establishments. The more business these Denver eateries experience, the dirtier the vent hoods become in the kitchen. This makes the establishment more susceptible to grease buildup, indoor smoke pollution, and dangerous fire. To help Denver restaurants keep the grease buildup to a minimum, cleanse the air for a more appealing dining atmosphere, and prevent grease fires, it helps to find an all-in-one kitchen vent hood cleaning company. Only a company that provides full-scale restaurant hood cleaning can provide much-needed cleaning, maintenance and repair services. These services are efficient and cost-friendly for restaurant owners, and these companies can do it all, from hood service and cleaning to hood fan installations, range hood replacement, and range hood repairs. Commercial kitchens produce grease, and lots of it. All of this grease is typically siphoned away from hot equipment, fires, and food by way of grease traps. However, even with a proper vent hood ventilation system, your restaurant could still experience caked-up grease. Too much grease presents a fire hazard, which means that grease buildup prevention should be a top priority of all kitchen managers and restaurant owners. Denver restaurants that want to keep grease to the absolute minimum should invest in an all-in-one vent hood cleaning solution. Only a complete and professional vent hood company can prevent grease buildup with the proper cleaning equipment and techniques. In other words, the do-it-yourself approach may not cut it, as grease is sometimes impervious to many typical cleaners. A professional service will have the means to clean grease from those hard-to-reach places, such as exhaust fan mechanisms, duct work, and other areas throughout the ventilation hood system. When grease is allowed to buildup and you fail to keep your exhaust hood fan free of buildup, smoke can result. This smokiness can not only affect the food your kitchen staff prepare on a daily basis, but the kitchen atmosphere can become arid and stale, making it difficult for staff to breathe. If that smokiness drifts into your restaurant’s various food serving areas, you can probably expect your customers to choose elsewhere for their dining needs. An all-in-one kitchen hood cleaning service will keep the atmospheres of your kitchen and dining rooms safe and presentable for staff and customers alike. 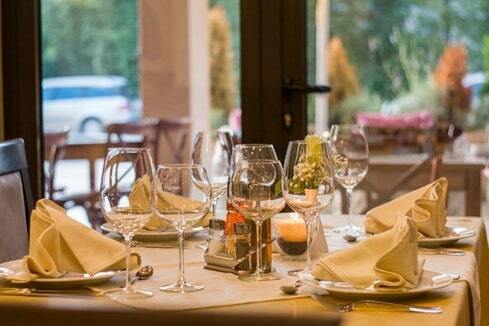 The most important aspect of restaurant hood cleaning is preventing fires from breaking out. A commercial kitchen provides many opportunities for fire to erupt. Hot stoves and ovens along with the buildup of grease can make a situation dangerous for staff and customers. A grease fire, if left to burn, can also force a restaurant to close until all the smoke and fire damage are cleaned, repaired, and made ready for patronage once more. A full-service commercial kitchen hood cleaning company can ensure all exhaust fans, ventilation hoods, and fire suppression systems are in perfect working order. A ventilation hood company’s primary objective is to keep a restaurant free of fire. That means that Denver area restaurant owners who are fearful of fires disrupting or shuttering their business completely should invest in a commercial kitchen hood company that can do everything under one roof. In order to save money, many Denver restaurant owners decide to let the staff clean the vent hoods and accompanying equipment, like exhaust fans. This is a mistake for several reasons. For one, restaurant staff may be too tired at the end of a busy shift to clean the vent hood systems properly. To prevent grease buildup and fires, and to keep the air inside the restaurant clean and breathable, only a professional can provide the level of cleaning that will make the kitchen safe and code compliant. Kitchen staff, for instance, simply don’t have the equipment to get deep inside the exhaust fan components to get rid of grease that could otherwise start a fire. A professional ventilation hood service has deep cleaning materials and techniques that make quick work of even the heaviest grease buildups. Therefore, if Denver area restaurant owners want to keep maintenance and repairs to a minimum while also keeping their vent hoods as clean as possible, there’s only one solution: Hire an all-in-one ventilation hood service. Here is how a professional service will differ from a staff clean-up job to keep your restaurant safe and the air clean for years to come. The first job of a full-service ventilation hood services company is to inspect the exhaust system. This helps the professionals identify anything unusual that might need to be addressed. During this inspection, the vent hood cleaner might notice parts that should be repaired or replaced. A common example of a part that is frequently replaced is a baffle filter. In order to clean your vent hoods properly, the exhaust hood fan systems will need to be shut off. This prevents the cleaning staff from getting injured while also preventing damage to any commercial kitchen hood cleaning equipment. Staff may forget to shut off all range hood fans, which can cause injury and damage to equipment, among other calamities. The process of properly cleaning a ventilation range hood can get extremely messy. The ventilation hood cleaning technicians will begin this process by first removing the baffle filters. Then, they will prepare the hood funnels by collecting any built-up grease and debris. The powerful cleaners used on this type of build-up are strong enough to eliminate grease while also remaining safe for any food preparation areas. Before hood cleaning can begin, all nearby appliances and the floor will be covered to prevent any funnel failures or grease splatters during the cleaning process. Before any appliances are covered with tarps, all pilot lights and gas valves will be turned off. This is a very important step that might also be missed by restaurant staff during the ventilation hood cleaning process. A full-service cleaning service will only hire trained and experienced commercial kitchen hood cleaning technicians that know the importance of turning off all pilot lights and gas valves, so you can remain confident that this step will never be missed. In most cases, you’ll find commercial hood cleaning technicians working in pairs. Typically, one technician will remain on the roof of the restaurant while the other remains in the kitchen area. The roof-based vent hood cleaner will spray all the components of the exhaust fan, ducts, and other equipment with a commercial grade degreaser. Then, the entire vent hood exhaust fan system is sprayed down with hot water. Down in the kitchen, the other commercial kitchen cleaner makes sure that the grease and debris that are flowing down the funnel into the collection receptacle remains tidy enough to collect. The kitchen-area tech will also clean the baffle filters of the exhaust hood with a degreaser before flushing with hot water. If any grease and debris is left behind, it will have to be manually scraped, then sprayed with a chemical degreaser before it’s rinsed with hot water. This step will then be repeated until all grease and debris are gone. This is a step kitchen staff many never get to, as they may not have the equipment or patience to eliminate the last remnants of grease and dirt that can cause smoky air or fire. With the roof cleaning complete, the technicians will start working in tandem in the kitchen. For this process, the exhaust hoods are cleaned from the bottom up, with a chemical degreaser used along with hot water. This process is also repeated until the vent hood cleaning process is thoroughly complete. Once all the grease and debris have been removed, the all-in-one commercial ventilation hood cleaners will dry the hoods and polish the interiors and exteriors of the entire system. Then, all baffle filters will be placed back inside the hoods and thoroughly tested to make sure they’re working properly. This step is very important and is required by law. Once your vent hoods are completely cleaned, the technician will put a sticker on the hood, which is required by fire inspectors and the health department. Even your insurance agent might require a vent hood cleaning sticker. The sticker will list the date of cleaning and the date of the next scheduled cleaning to keep you on track. With the vent hoods and exhaust fan systems scrubbed of all grease and debris, the vent hood specialists will clean any splattered grease from the floors or kitchen equipment. At this time, exhaust fans and pilot lights and gas valves can be switched back on. The best part is that many exhaust fan cleaning specialists will leave your kitchen in a better condition than when they arrived. Restaurants throughout Denver that want to keep their kitchens spotless should definitely invest in vent hood cleaning, but what about proper maintenance? Only a full-service vent hood company can make sure that all equipment is properly serviced during each cleaning appointment. If you only hire a cleaning service, you never know if those technicians might come across a malfunctioning part that they might then skip over. It’s only when that part breaks down later that you realize how expensive it is to hire a cleaning service only. An all-in-one ventilation hood cleaning company can service your equipment, maintain it when necessary, and keep your costs to a minimum while improving your restaurant’s atmosphere and keeping it spotless as can be. Just like proper maintenance is important, you need to ensure that your ventilation hoods are always repaired when it’s required. Exhaust fans that aren’t repaired and replaced on a regular basis can run inefficiently. This can also cause a smoke buildup in the kitchen and dining room areas, while also making your kitchen more susceptible to fire. A full-service commercial ventilation cleaning, maintenance and repair service can fix or replace parts whenever you need. Many of these technicians keep parts on hand, and you can bet that they’ll use the very best parts available. In short, if you operate a restaurant in and around Denver and you want to keep your costs low, staff morale high, and customers constantly choosing you for their dining needs, it pays to use an all-in-one ventilation hood cleaning service that can get every job done in a single service call. If your ventilation hoods are caked with grease, it might be high-time for a full-service vent hood cleaning call. Likewise, if your exhaust fans aren’t running like they should, if you’ve never had a service technician clean the grease from your roof, or if you only allow staff to clean your ventilation hoods, it might be time to change tactics. Instead, call a full-service commercial ventilation hood cleaning service in Denver, Colorado, like Hood Builder, for all your vent hood and exhaust fan cleaning, maintenance and service needs. Once you see how much you can save and how efficient our services are, you’ll likely wonder why you never called sooner. Our vent hood specialists are standing by. As a ventilation hood cleaning services leader, we are the company to call when you want a clean, safe, and customer friendly Denver food establishment.